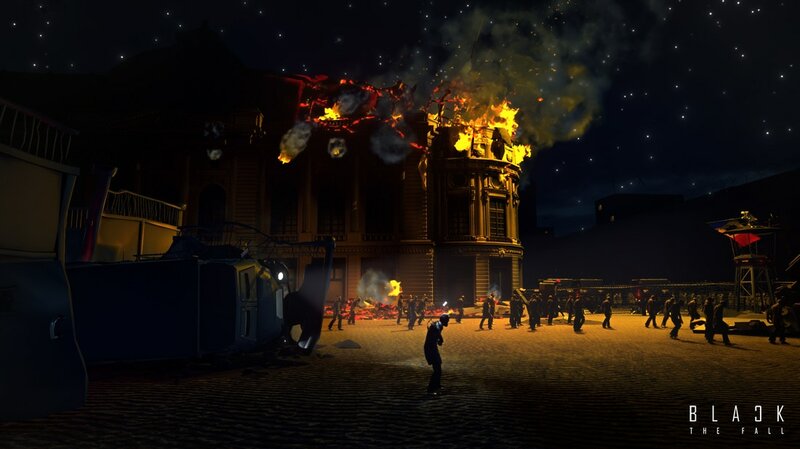 Black: The Fall is a puzzle-platformer which has you play as an unnamed civilian during the 1989 Romanian revolution. You must escape the clutches of communism and aid the uprising which is currently being carried out. 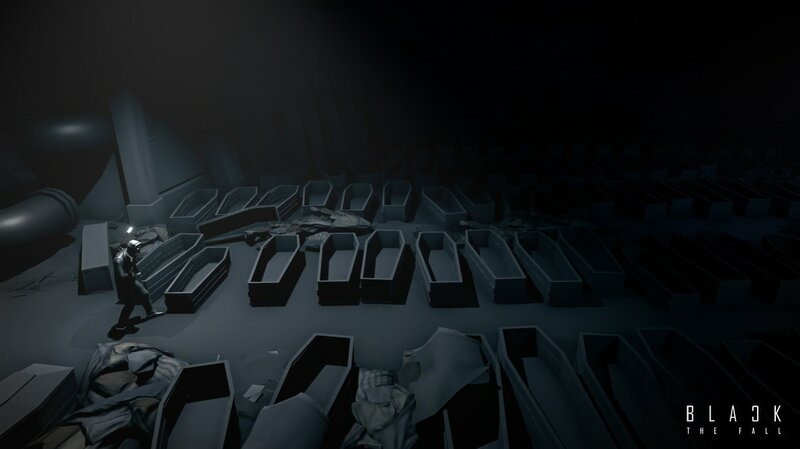 Variation/Ease of Puzzles: Many of the puzzles in Black: The Fall are easy enough for the casual gamer to solve. Most of the puzzles in the game are solved using a laser pointer which is obtained by the protagonist. The laser is then used to interact with switches, robots, or drones to navigate through various obstacles. Due to the limited amount of interactable objects and combinations, it becomes very easy for gamers who are not puzzle aficionados to proceed through the game. Furthermore, there are various puzzle types which are utilized in Black: The Fall. Whilst the laser is the unique feature which adds diversity to the game, there are other forms of puzzles which require physics based interactions or platforming skills. When combined with the laser mechanic there’s a large variation of the types of puzzles which are available to be solved by the player. 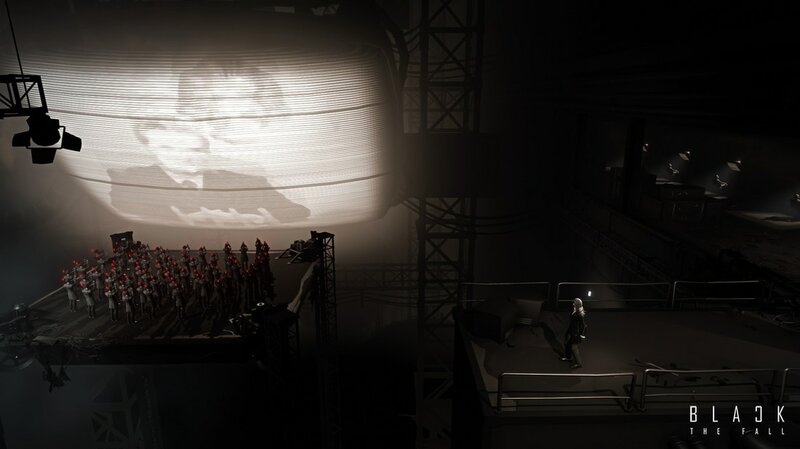 Eerie Atmosphere: Black: The Fall is set during the communist era of Romania in the year 1989. During this time, many of the civilians would have to work long hours and it was said that the secret service would monitor the populace of the country. Black: The Fall captures this gritty reality with the overabundance of grey, black and brown. Many of the NPCs seen across the game act as mindless drones who’s only purpose is to work. Many sections of the game are littered with cameras which corroborates with the idea that someone is always watching the player character. Great Signposting: Black: The Fall has no text to accompany the game and thus due to being a puzzle-platformer there are many mechanics which are introduced that need to be taught to the player. Black: The Fall executes this teaching phase exceptionally well throughout the game. As you walk through areas there will be signs littered around indicating how to proceed to teach new mechanics to the player. Another section may have an NPC step on a certain type of platform, only to make the platform fall down so that you understand what the specific platform does without ever having to read a manual – it teaches via game-play. Lack of Music/Ambient Music: One of the first things which is notable about Black: The Fall is the lack of music. Many sections of the game simply lack music or have extremely silent ambient music playing in the background. There are several sections which do contain music, but these are few and far between. 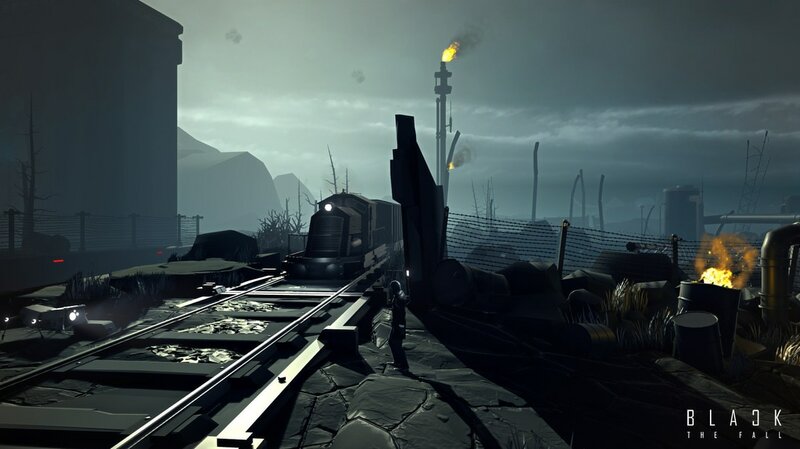 Whilst it could be argued that the lack of music fits in with the atmosphere of the game, many other games such as Inside and Limbo which are analogous to Black: The Fall have excellent soundtracks which enhance the gaming experience. Extremely Short/Padding: Black: The Fall can be completed in around 1 hour. Despite the high variation of puzzles, there are only around 25 unique puzzles in the game. When you are not doing puzzles, you are either running in a straight line for minutes on end, or standing still waiting for a certain object to move. Out of the 1-hour worth of game-play which is required to complete the game, only around 30 minutes is solving puzzles and the other 30 minutes of game-play is simply walking. Many sections of the game are separated with long monotonous roads where all you do is walk in a straight line. As you proceed to the end of the game, these running sections become extremely frequent and drawn out. The last 20 minutes of the game alone is a walking simulator. Finicky Controls: Black: The Fall brings a unique mechanic to the puzzle-platformer genre: the use of a laser which allows you to control and interact with objects. Whilst being a unique design which enhances the game-play, the laser acts extremely buggy when trying to interact with many objects. Many times, the laser will simply not register which is a big problem, especially considering that many puzzles must be completed in a certain time. Furthermore, controlling the laser is tedious due to how sensitive the controls are, instead of being tight to control, it’s extremely sensitive to the slightest touch causing the laser to fly off way further than you want it to go. 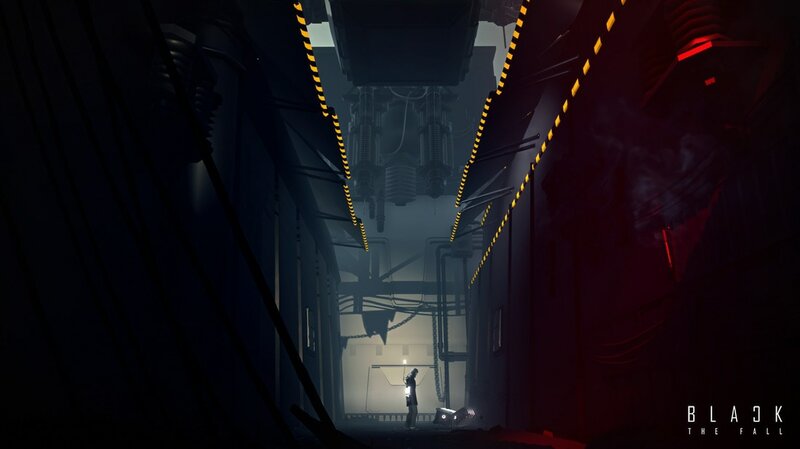 Black: The fall is a puzzle-platformer which tries to add a twist to the genre with the addition of the laser mechanic. Despite this, the game suffers from detrimental drawbacks, namely the extremely short completion times and the poor controls which riddles the game. For the price of £11.99/$14.99, 1 hour of game-play does not seem worth it for the amount of content you receive. Black: The Fall was developed by Sand Sailor Studio and published by Square Enix. It was released for PC, PlayStation 4, Nintendo Switch and Xbox One [reviewed] on July 11th, 2017 in North America and Europe. A press review copy was provided for The Hidden Levels. Many studios submit copies for site review but this is in no way factored into our review scores. Games are scored on their individual merits and our rating system is explained here.